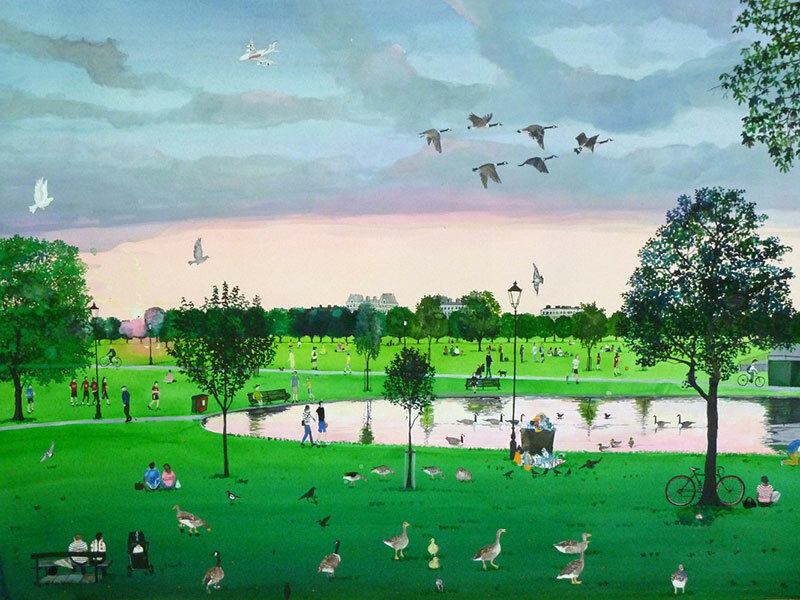 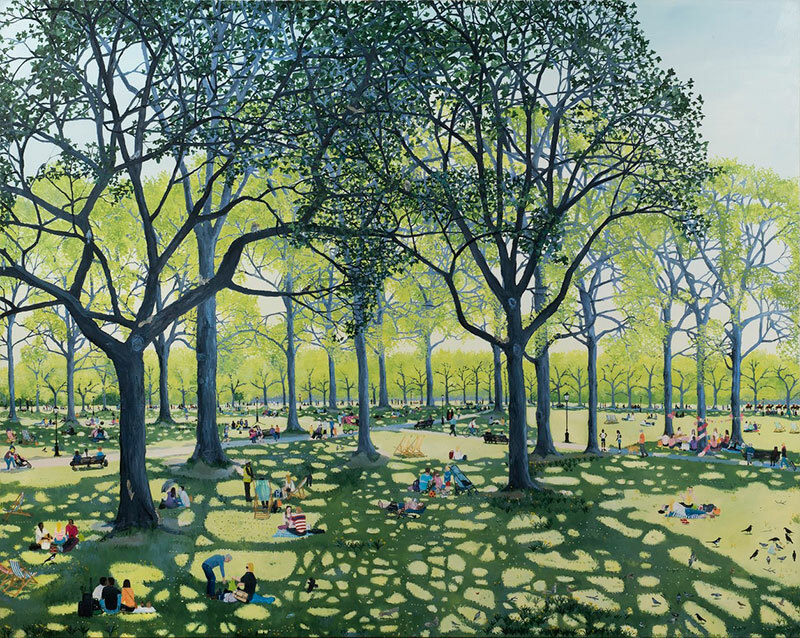 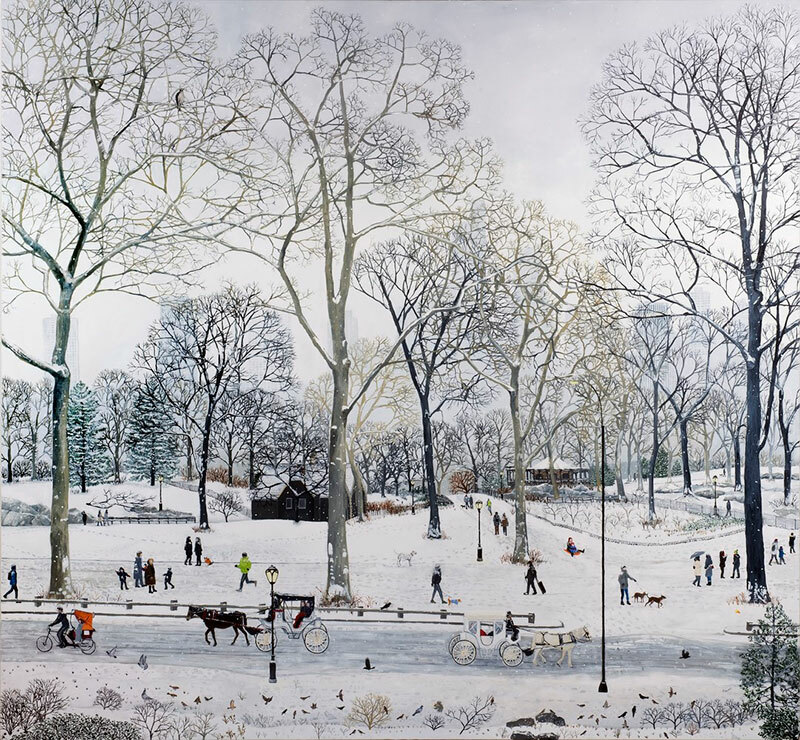 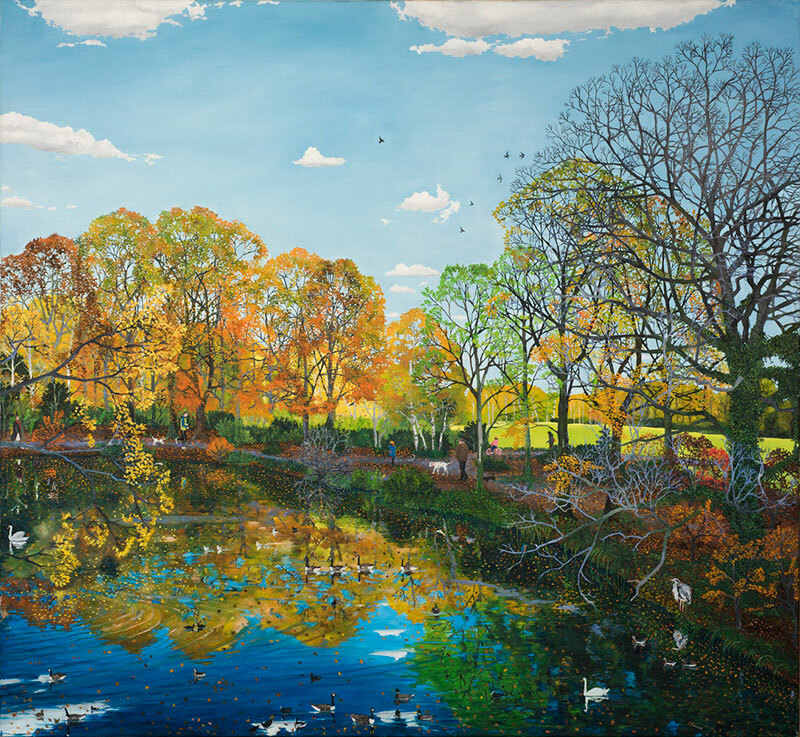 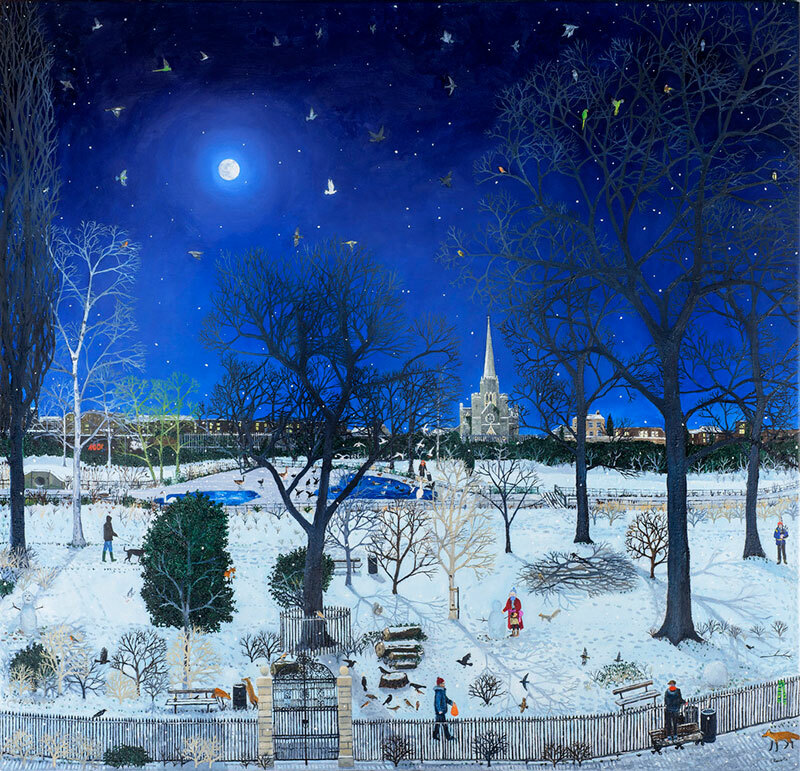 Fictional paintings of people in parks and beaches as seen from a distance by British artist Emma Haworth. 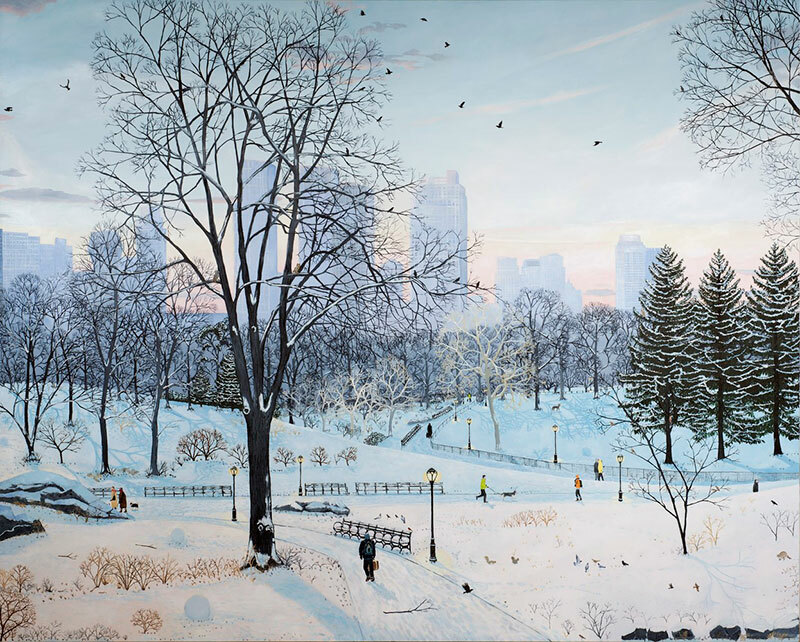 Her paintings are built by observing and recording the settings using sketches and photographs at various times of the day and year, seeing their different interactions, and noting the atmospheric changes as the seasons change. 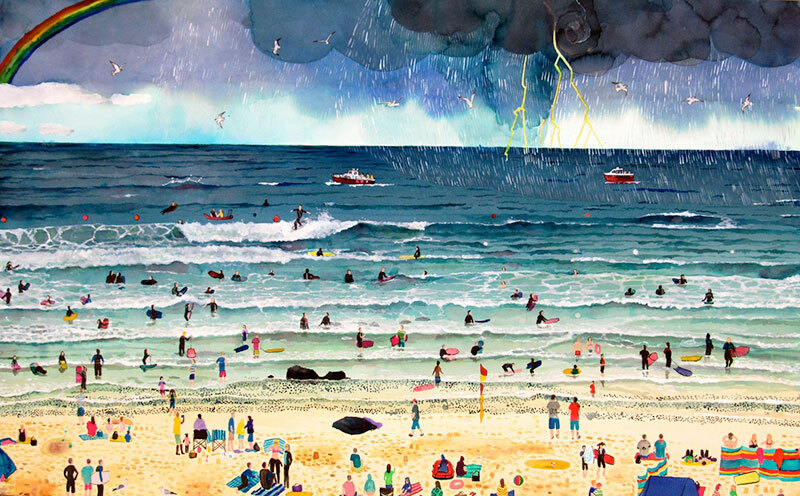 Back in her studio, Haworth then brings together the people, birds, animals, plants and trees that may never have actually come across one another in reality and creates an imagined image with hints of stories and a timeless quality. 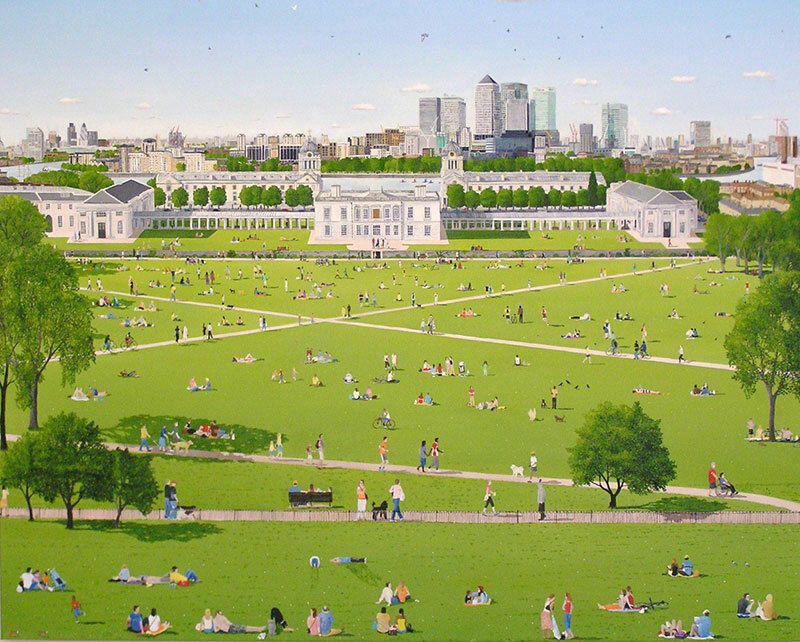 Fictional paintings of people in parks and beaches as seen from a distance by British artist Emma Haworth.